Delamere School in Manchester has achieved IQM Centre of Excellence status. The school is committed to the Inclusion agenda and has used the accreditation gained in 2015 as a driver for future development and a guide to the comprehensive school development plan. Delamere School was originally opened as a special school provision in the 1970s and currently has more than 90 children on roll, although originally designed for 80. The current staff have adapted and developed much of the school to meet the individual needs of the children, which has included refurbishing the entrance reception, teaching and learning areas and providing outside play and learning facilities. The school is immaculately maintained, classrooms and communal areas have a variety of interesting displays, working walls and where appropriate, low stimulus environments. ICT is an integral part of all learning activities with all classrooms equipped with PCs, interactive screens and iPads. The school has developed part of their outside space into a gardening and prospective “Forest School” area and is to appoint a trained Forest School practitioner. The school is next door to Wellacre Academy (secondary) and opposite Acrehall Primary and a newly opened SEN Free School (The Orchard). A very successful Teens & Toddlers’ project has run for several years now where students from Wellacre come and support in Delamere’s nursery over a number of weeks. There are many existing links with other schools in their area which include integration links for students and collaborative links for staff. Schools include: Longford Park, Brentwood School, St Michael’s Primary and Woodhouse Primary. 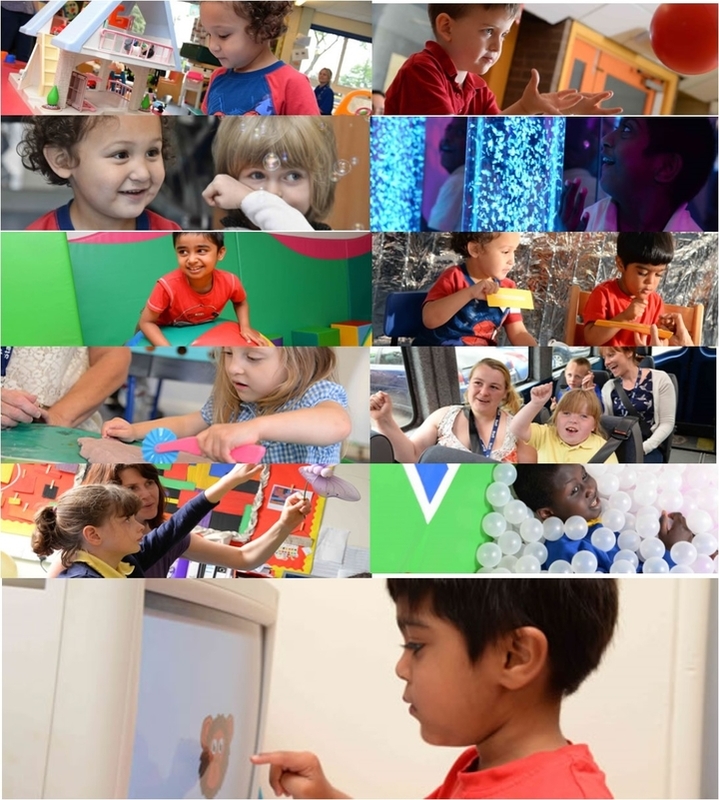 The SER document is accurate and comprehensive and also includes key areas for future development, including National Teaching School status, a research development project “sensory development” and also the National Governance Award. There has also been an Inclusion Project run during the past year in partnership with mainstream schools. The project focused on 3 sporting activities and was carefully evaluated regarding impact on Delamere learners and children attending the partner schools. Evidence demonstrates the change in positive vocabulary used by children and their overall enjoyment in the collaboration with Delamere. Plans are now being formulated to extend a similar project across other areas of the curriculum and with other schools. •	Newfield School: Blackburn, Lancashire (Special School with new build Autism School on site). •	Red Gates School, Croydon. •	Joy Lane Primary School, Whitstable, Kent. Delamere School has indicated their interest in gaining National Teaching School status reflecting the training they currently provide to other schools and the outreach work within the Teaching Alliance. The Alliance provides a range of courses and CPD opportunities for schools, Delamere currently providing a range of SEND courses. In addition to this, the school also undertakes SEND reviews and Team Teach training. The school has demonstrated its commitment to the Inclusion agenda over a number of years. Staff expertise is high and, in my opinion, fully meets the challenging criteria of an Inclusion Quality Mark Centre of Excellence School. “Centres of excellence determine for themselves who will be involved and the direction in which they choose to make progress. They have demonstrable plans to sustain and develop internal inclusive practice and have good mechanisms to disseminate and share good practice between schools.” The school is keen to be considered for Centre of Excellence status. I am confident that Delamere School has the drive, expertise and capacity to be now accredited with the Centre of Excellence award and be reassessed in twelve months.